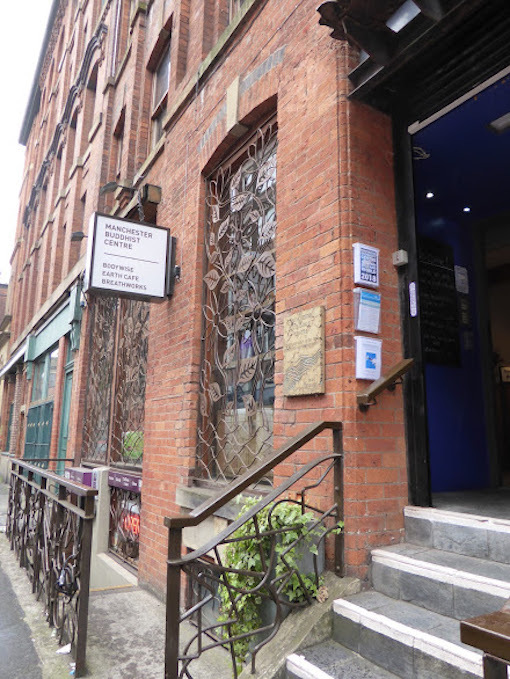 It is in everyone’s interest that Manchester Buddhist Centre (MBC) has a clear and transparent policy and procedure to be followed if or when a formal complaint is made against a member of the local sangha acting in a position of responsibility at (and/or on behalf of) Manchester Buddhist Centre. All other complaints should be addressed informally, mindful of the unskilful and potentially divisive effects of gossip and disharmony on the unity of the local sangha. Please note that the MBC’s Safeguarding Policy will be followed in all instances where matters relating to potential safeguarding issues are raised. Also, the MBC will not explore any complaints where the law has been broken – or is suspected to have been broken. In such instances the complainant will be supported to report the matter to the police. This policy and procedure is exploratory and investigative in nature. The implementation of this policy and procedure does not imply fault or wrongdoing by those against whom a complaint has been made. Anyone who wishes to make a complaint against a member of the Sangha (Order Member or Mitra) who is acting in a position of responsibility at or for the MBC should, in the first instance (wherever possible), seek to resolve it directly with the individual concerned. If the issue cannot be resolved directly then it should be brought to the attention of the MBC Chair or an MBC Trustee. Experience has shown that it is extremely important to share information only with those who need to know. Much disquiet and harm may result if information circulates before the complaint is explored / investigated and the facts are independently established. Once a complaint has been made the Chair or Trustee will bring the matter to the next scheduled Trustees’ Meeting. The Trustees will collectively agree a named person (Trustee or other independent Order Member) to investigate and address the complaint on their behalf. This named person may wish to establish a small working group whose membership will also be agreed by the Trustees. If / when action is deemed urgent the Chair or Trustee will progress the matter as soon as possible in consultation with two other Trustees. They will report the issue and any actions taken at the next scheduled Trustees’ Meeting or sooner if this is deemed necessary. The Chair and Trustees will collectively decide with whom to share the information and will make every effort to keep this to a minimum. If the Chair or any other Trustee is implicated in the complaint they will be absented from the process / discussion(s) noted above. The person(s) against whom the complaint has been made will be given the opportunity to identify a Trustee (or other member of the Sangha) to support them and act as an advocate on their behalf throughout the exploration / investigation of the complaint. This Trustee (or individual) must not be one of the named Trustees formally charged with investigating and addressing the complaint (see point 4 above). The person(s) charged with addressing the complaint will explore it with those against whom the complaint has been made, as well as any relevant others, to ascertain the objective facts of the matter (as far as this is possible). The person(s) charged with addressing the complaint will maintain a written record of actions taken and the content of any relevant conversations. Efforts will be made to ensure that written records of conversations are agreed as accurate by those involved. Where the complaint is found to be valid, efforts will be made to resolve it to the satisfaction of the complainant and the Trustees. Efforts will also be made to ensure that the complaint leads to individual and collective learning that minimises the possibility of similar mistakes or harmful behaviours being repeated in the future. Where individuals in the local Sangha are in conflict as a result of a complaint they will, in most instances, be expected to engage in constructive dialogue with each other in order to restore harmony and prevent divisions within the Sangha. Where required the MBC will offer support to source and arrange independent mediation. If the above measures do not satisfactorily resolve the complaint the complainant is advised to approach the MBC President whose contact details are available on the MBC website. As far as possible the investigation and resolution process will be undertaken in a manner that is in accordance with the five precepts. Every effort will be taken to treat all those involved (irrespective of whether they are the complainant or a person against whom a complaint is being made) fairly and respectfully. Where a complaint is found to be valid, the person(s) against whom the complaint was made will be expected and encouraged to address their ethical behaviour within his/her chapter (if they are an Order Member), with those who have direct responsibility for their ordination process (if they are a Mitra seeking ordination), or with the appropriate Mitra convenor (if they are a mMtra not seeking ordination). In some instances the Trustees may decide to form an ethics panel which could impose sanctions such as a suspension or expulsion from the MBC. Individuals who make repeated serious complaints or allegations that are subsequently found to be unsubstantiated, spurious and/or malicious will be expected and encouraged to explore and address this issue within their chapter (if they are an Order member), with those who have direct responsibility for their ordination process (if they are a Mitra seeking ordination), or with the appropriate Mitra convenor (if they are a Mitra not seeking ordination). In some instances the Trustees may decide to form an ethics panel which could impose sanctions such as a suspension or expulsion of the complainant from the MBC.